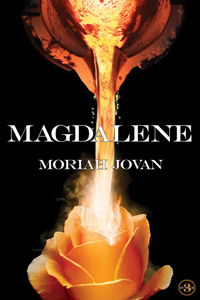 Publishers Weekly just reviewed Magdalene. And positively: “Filled with nuanced, unforgettable characters and keen insights into Mormon faith and culture, this is a thrilling, romantic page-turner with a sense of optimism that never comes across as forced or cloying.” And you can trust that “keen insights” bit—pretty clear that the reviewer knows her Mormon faith and culture. Add that to the rumors of movie-rights vultures circling the air and, if you didn’t listen to me last time (or to fMh or EII) and don’t want to be the last molitter on the block in the know, then you need to get your copy today. I’ve been thinking more than usual about finance lately because of articles I just read in The New Yorker and Wired. Because of the information in those article, I find myself turning to Magdalene for philosopical advice. The first family of Jovan’s Dunham series is filled with power sorts—lawyers, financiers, etc. And they play tough and they play to win and they can be ruthless. But they play within ethical rules, and one of those rules is that wealth should grow out from the real world. In other words: investing in steel is noble; investing in a new way to trade derivitives is ignoble. Why? Because the first is stuff—real and touchable and objectively worth something. The latter is just an Amani-wearing form of parasitism—those people don’t make, they just take. In an age where the rich and powerful sometimes seem hellbound to promote themselves this quarter over the common good and common future, it’s nice to see these (Mormon and quasiMormon) richies using their wealth in ways designed to build the wealth of communities and the nation rather than their personal portfolio alone. I wonder if Jovan’s work were to reach the level’s of popularity of Rand’s—might we see a moral shift on Wall Street? I don’t remember how I stumbled upon Magdalene (it was probably through you), but I love it. One day I will need to buy the rest of the series. I need to read and review this one.